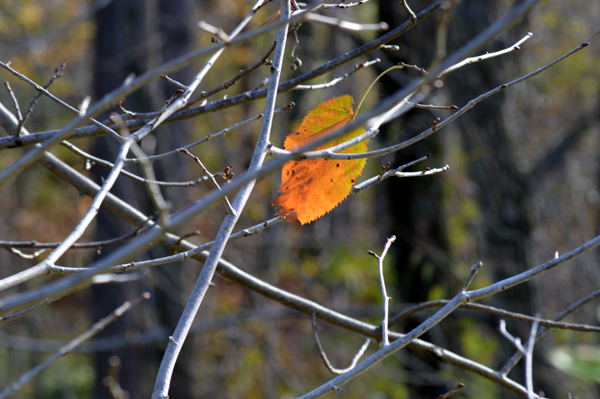 A single leaf clings to bare branches for just a little longer. 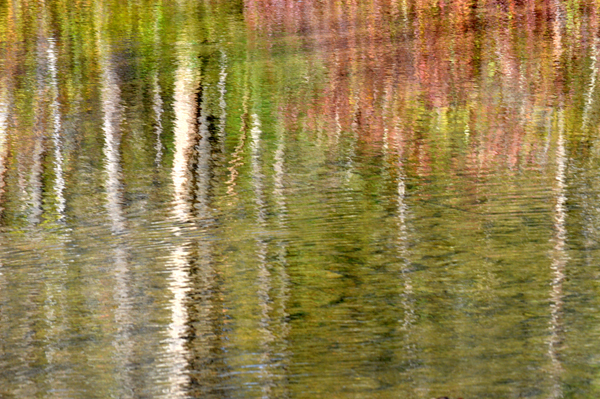 Fall leaves and trunks reflect in Medway Creek. 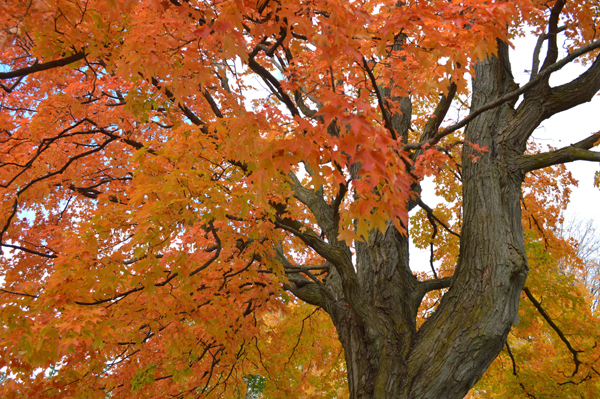 A stunning old Sugar Maple struts its fall stuff. 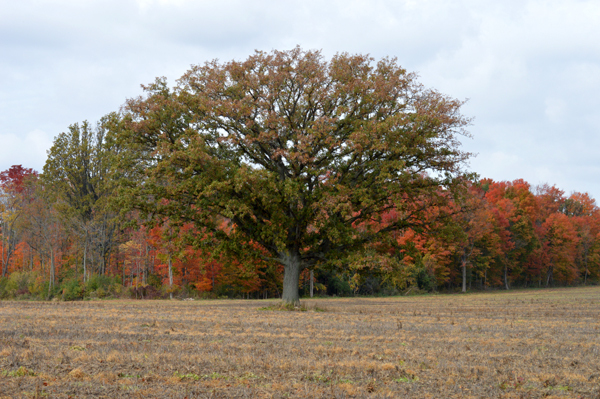 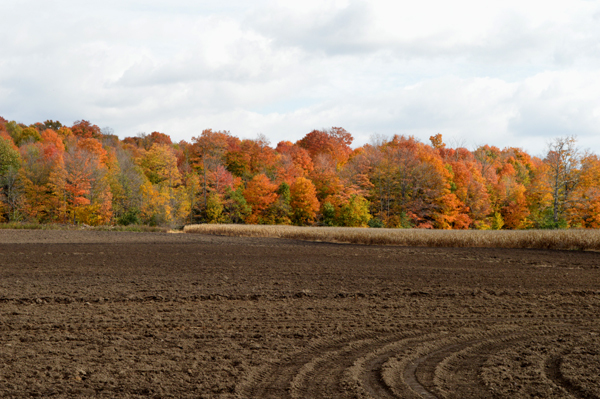 A beautiful fall view of a freshly plowed field and woods behind – a typical southern Ontario rural scene. 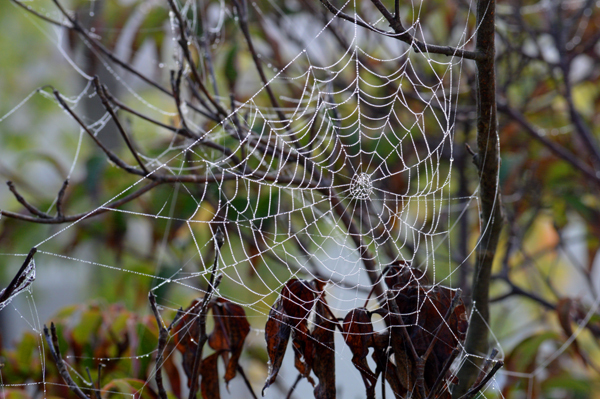 A beautifully designed spider’s web appears in a small tree on a warm fall morning.